Being able to balance all of these factors in real time and correct issues quickly is the difference between success and failure in a competitive business. NetYield helps seafood processors build out an increasingly detailed understanding of their cost structure as they grow. We work with companies to help them put in place basic inventory control and yielding, come back to help them break out and optimize their procurement and selling costings, and finally detail out value add including labor, packaging, and overhead. Our software offers an affordable entry point and provides increasing margin transparency as your business grows, supporting some of the largest seafood companies in North America. NetYield has worked with thousands of seafood professionals over the past 30 years to build a deeper understanding of their cost structure, improve their margins, and grow their business profitably. We maintain a firm understanding of cost accounting principles and are solely focused on applying them to the unique needs of the seafood industry. 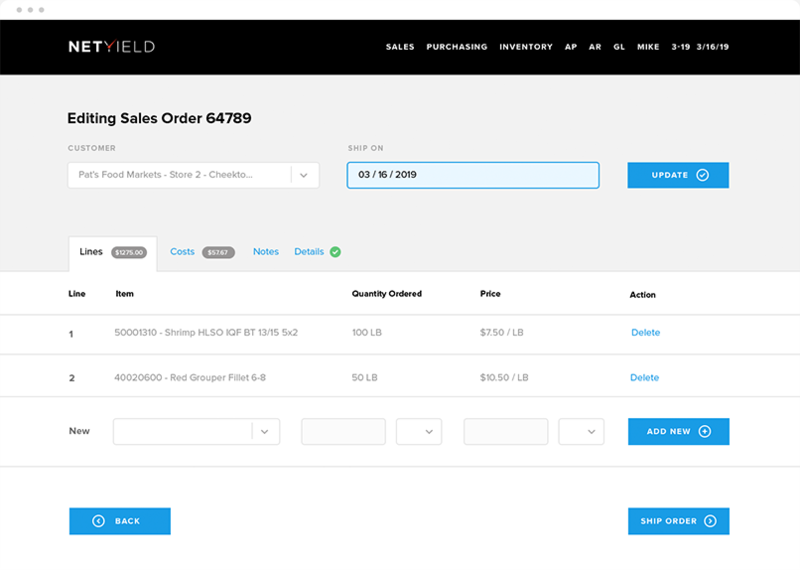 NetYield is the right partner whether you’re expanding an existing business line, entering a new product line and need help getting started, or integrating a new acquisition.